History will one day tell the story of how the 45th president of the United States, Donald Trump, just over 100 days into his presidency, fired the director of the FBI, James Comey, in an apparent attempt to stop an investigation into the president’s own team of advisers. The firing set off alarm bells, and will for decades to come look like the behavior of a man on the run, obstructing justice. Adding fuel to the fire, leading figures in his administration immediately dismissed the idea of appointing a special counsel to investigate the matter and hemmed and hawed about a congressional investigation as well. For several days, it seemed possible that an unstoppable series of events would clamp down the investigation, and in so doing, tamp down a central tenet of American democracy—the balance of powers. It is not just the appointment of a special counsel that is cause for relief but the specific choice of Robert Mueller. In many ways, Mueller is as good a person to occupy this post as any we could hope for. By temperament and by experience, Mueller hints at the possibility of an antidote to the Trump administration’s defiant stance against the laws of the land. 1) Mueller is an intrepid professional. Famously, he required FBI agents and officials to wear white button-down shirts, to signify their commitment to maintaining professional standards. In the context of the Trump administration, which consistently downplays professional skill in favor of loyalty, Mueller’s credentials are impeccable. A federal prosecutor for many years, head of the Criminal Division at the Department of Justice, he handled cases involving organized crime, foreign countries, and terrorism. As head of the FBI, he led the country through the 9/11 investigation. No one could ever say he was naive about foreign threats, including Russia. Mueller also has a deep understanding of the structure and personnel in today’s Justice Department, including the semi-independent FBI. Dozens of the lawyers and agents who now hold positions that will prove instrumental to his investigation are comfortable with him and have worked with him in the past. He can call on others who are now out of government as well but who may decide to help him, as one former chief of staff now in private practice has already done. 2) Mueller has had a notably bipartisan career, which will likely help him get the resources and cooperation he needs. President Bush confidently appointed him to the longest political appointment in the government—10 years—and President Obama, who inherited him, chose to keep him in the post an extra two. As a result, Mueller has deep, working ties with the Republicans and Democrats in Congress, before whom he testified in the course of those 12 years. Even as head of the FBI, he was keen on forging ties with civil libertarians, agreeing to address the ACLU’s annual meeting in 2003. 3) Mueller has shown the potential to defy the powers-that-be. He was among the individuals in the Justice Department who assembled at Attorney General John Ashcroft’s hospital bedside in 2004 to block the Bush White House’s attempt to renew a surveillance policy that Mueller and others, including James Comey, deemed to be illegal. In addition, as director of the FBI, he made the decision to withdraw the FBI from terrorism interrogations that involved torture. 4) Mueller has the ability to stand up under pressure and to get the job done. His first day in office as head of the FBI was September 10, 2001. The next day, the United States suffered the attacks that shook the nation to its core. 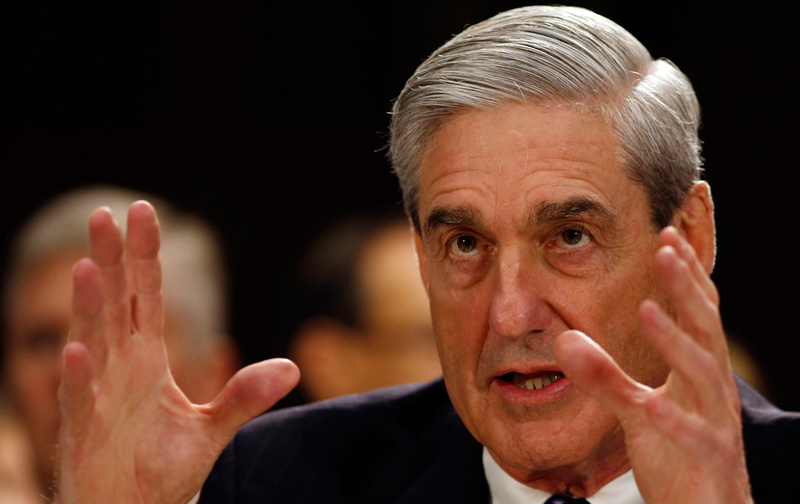 Mueller, however new to the job, catapulted the 9/11 investigation into action, marshaling forces from throughout the government to work together to identify the perpetrators of the attacks, and the wider network of Al Qaeda members who might threaten future attacks. He persisted, moreover, in the face of several reports on the failures of the FBI that might have contributed to the attacks. It’s a rare, and almost surreal, moment in American history when a chief law-enforcement official becomes the hope of the rule of the country across the political spectrum. And, indeed, there are legitimate worries about embracing a powerful law-enforcement official, especially one who helped frame the policies of the post 9/11 era, many of which were overreaching and some of which directly defied constitutional principles. In fact, by 2013, the ACLU, reacting to several disappointing counterterrorism efforts by the FBI, refused to invite him back to speak to their annual meetings. Yet, today, the appointment of Mueller is receiving a broad spectrum of support, from Adam Schiff and Richard Blumenthal to Ben Sasse and Jason Chaffetz. At Mueller’s confirmation hearing in the summer of 2001, several senators noted the monumental task he faced, one in which, following a series of mismanaged cases, the integrity and reputation of the FBI itself were at stake. Senator Chuck Schumer concluded that Mueller was indeed the right man for the task, “just what the doctor ordered.” There may come a time when Mueller’s actions require some kind of criticism and review. But for now, his appointment seems to be the wise move. By happenstance rather than design, Robert Mueller was the go-to official to help American’s find stable ground after 9/11. Now he has been tapped to step in at another moment of national crisis. Let’s hope that professionalism, upholding the law, and persistence under pressure are enough to carry him judiciously through the task at hand.